Home Unlabelled D'banj Ports To Etisalat With N250 Million Deal. 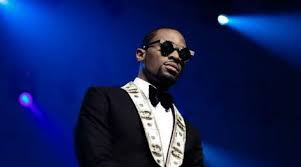 D'banj Ports To Etisalat With N250 Million Deal. With Glo having a number of artistes such as P-Square & M.I. signed to them and MTN recently snapping up Saka from Etisalat and also adding Iyanya & Wizkid to their fold, telecoms giant Etisalat did not want to be left out of the fun. “Cash flow” is one of D’banj’s recent songs title, its about time for the cash to flow as Etisalat one Nigerian leading telecommunication endorsed the African super star D’Banj in a N250m deal. Official announcement will be made soon on this new development and trust hallanaija to feed you about it.